My husband and I visited the National Gallery. We went through DBS Singapore Galleries 1, 2, and 3 on Level 2. We saw the Chief Justice’s Chamber and Office, as well as UOB Southeast Asia Galleries 1, 2 and 3 on Level 3. We’ll have to go back another time and see galleries 4 to 15 and the Wu Guanzhong Gallery. After visiting the gallery, my husband and I crossed Anderson Bridge, where this photo was taken, and got drinks at Starbucks at the Fullerton Waterboat House. 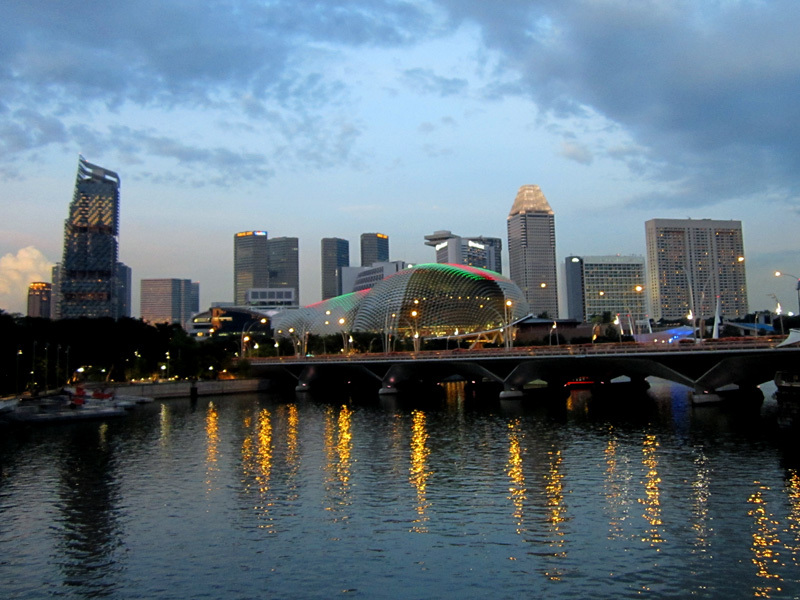 The round, spiny buildings are the famous Esplanade Theatres.